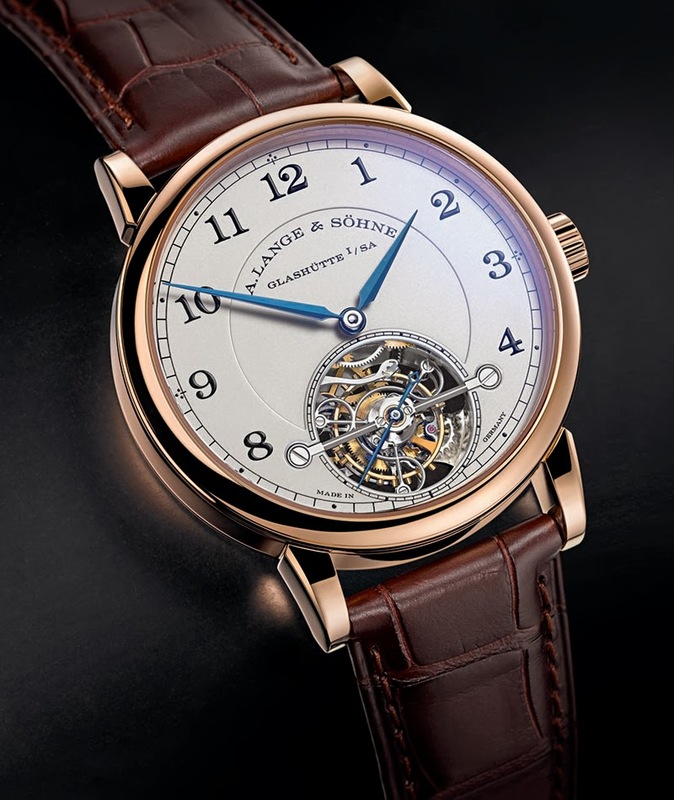 A watch that is truly impressive when you have it in your hands is the new A. Lange & Söhne 1815 Tourbillon. The understated design of the 1815 Troubillon offers perfect legibility and exalts the complexity of the tourbillon that can be admired through the aperture in the dial. In comparison with earlier versions, its diameter was increased by nearly one millimetre to 13.2 millimetres. 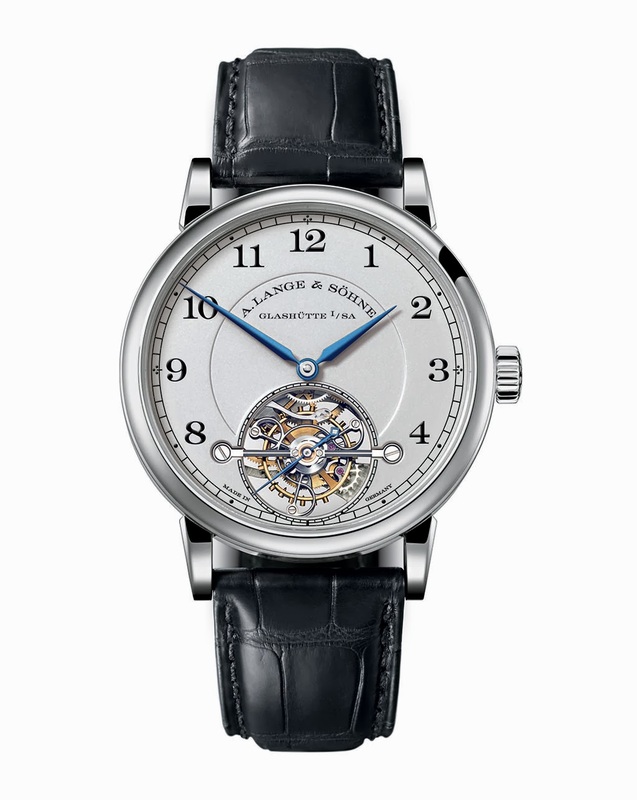 The arbor of the tourbillon carries the subsidiary second hand crafted from blued steel. The combination of Arabic numerals with the classic railway-track minute scale is reminiscent of historic A. Lange & Söhne pocket watches. 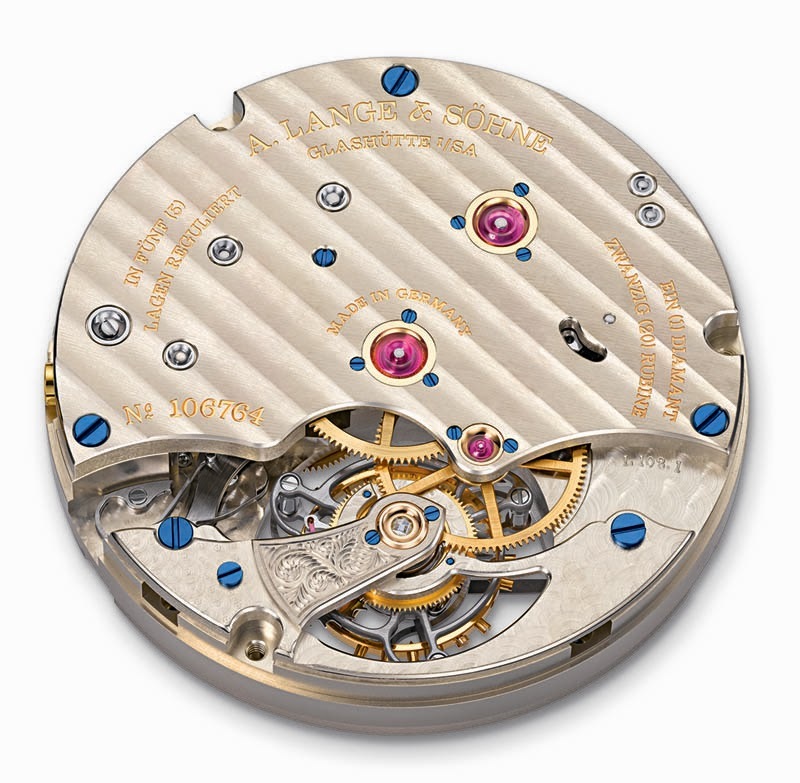 After finding a way to brake the balance inside the rotating tourbillon cage in 2008, Lange’s product developers have successfully paired the stop mechanism with the patented ZERO-RESET mechanism which causes the blued-steel hand of the subsidiary seconds dial to instantly jump to the zero position when the crown is pulled. This is a first time in an A. Lange & Söhne timepiece. The interaction between the two patented mechanisms enables the watch to be set with great accuracy, for example by synchronizing it with a reference watch or a time signal. The perfectly finished movement parts is crowned by the diamond endstone of the tourbillon. 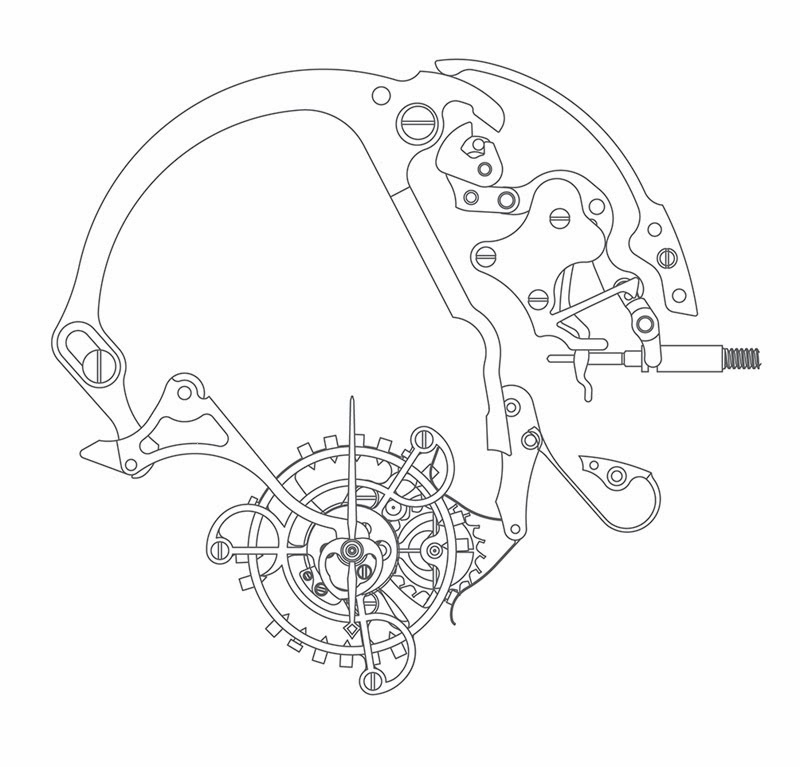 The hairspring and balance wheel are crafted in-house with extreme meticulousness and perfectly matched to one another. The pink-gold or platinum case has a diameter of 39.5 mm. The platinum version is a limited edition of 100 pieces. 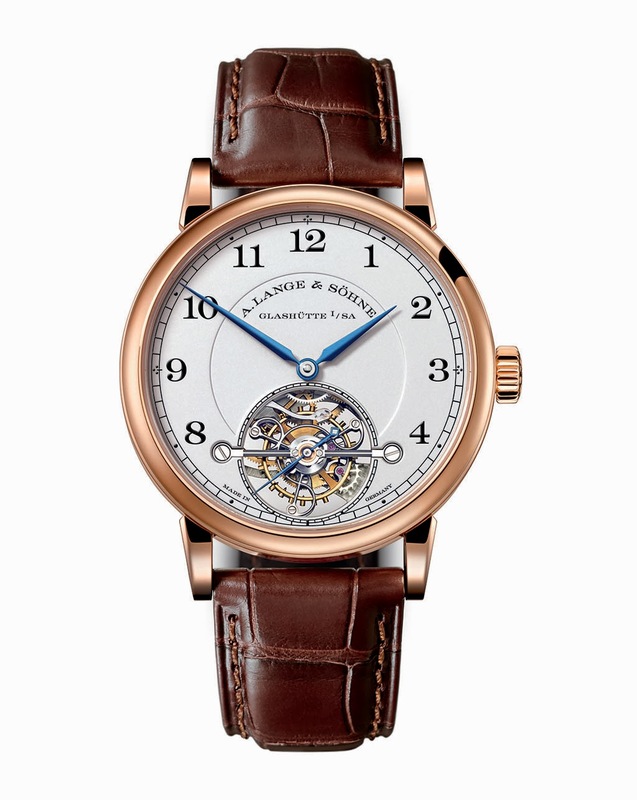 In the video below, Anthony de Haas, Lange's Director of Product Development, talks about the 1815 Tourbillon and its stop mechanism with ZERO-RESET. 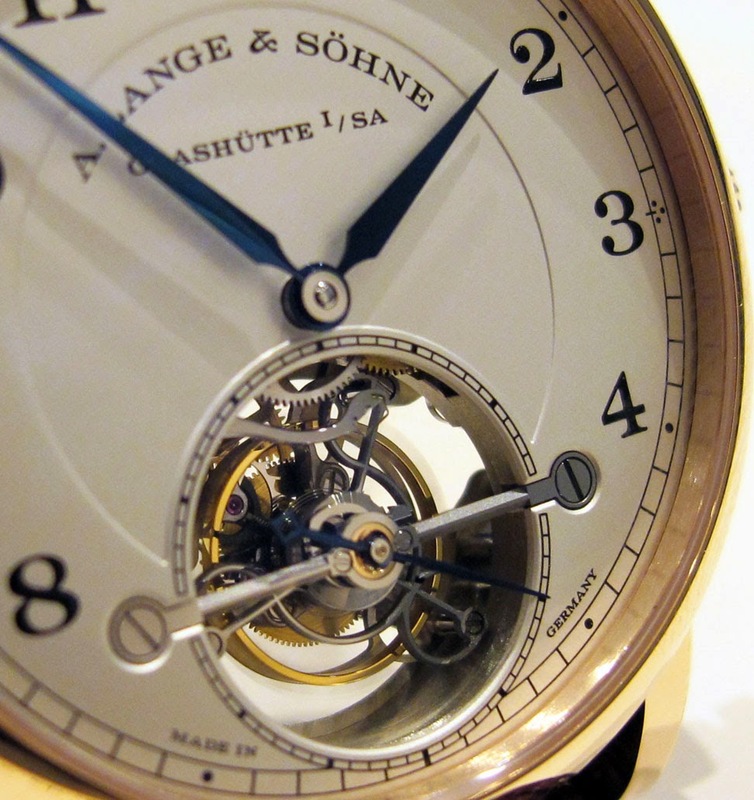 A watch that is truly impressive when you have it in your hands is the new A. Lange & Söhne 1815 Tourbillon. The understated design of the 1815 Troubillon offers perfect legibility and exalts the complexity of the tourbillon that can be admired through the aperture in the dial. In comparison with earlier versions, its diameter was increased by nearly one millimetre to 13.2 millimetres.